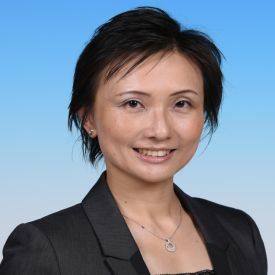 Melody Manchi Chao is Associate Professor at the Department of Management, and Associate Director of Undergraduate Studies at the School of Business and Management, Hong Kong University of Science and Technology. She received her Ph.D. and M.A. degree in social psychology from the University of Illinois, Urbana-Champaign and B.A. degree in psychology at the University of California, Berkeley. Her research interests include lay beliefs, achievement motivation, negotiation and conflict management, group processes, and intergroup relations. She currently serves on the editorial review boards of Journal of Personality and Social Psychology, Frontiers in Psychology, and Asian Journal of Social Psychology, and has served on the editorial review board of Management and Organization Review. She is a past winner of the Early Career Award from the International Academy of Intercultural Research, and the Michael Harris Bond Award for Early Research Contributions from the Asian Association of Social Psychology.